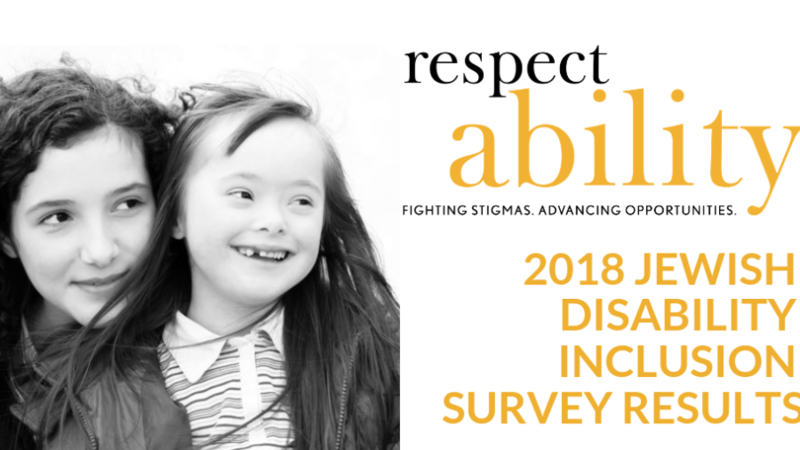 Los Angeles, California, Jan. 9 – More than 4000 respondents participated in a RespectAbility survey focused on the inclusion of people with disabilities in faith communities in America. This includes 183 Jews with disabilities in California and additional 79 with no disability connection in the state. Fully 104 of the respondents reported that they are served by the Jewish Federation of Greater LA. 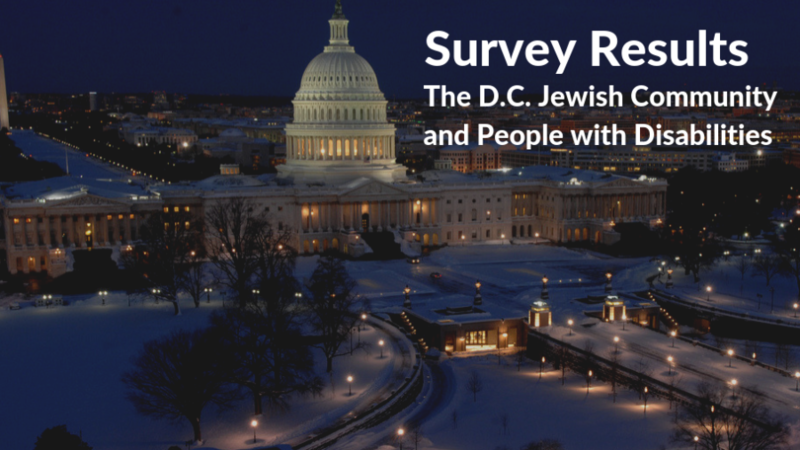 Nationally the poll includes more than 900 Jews who self-disclose that they are a person with a disability. Only 17% of Jewish respondents with disabilities in California know of any clergy or staff with disabilities at their synagogue. The Jewish respondents with disabilities in California and across the nation point to a lack of people with disabilities in leadership roles as clergy or staff at Jewish institutions. They also do not fully feel welcomed to serve as leaders in lay positions in the Jewish community either. Only 15 percent of Jews with disabilities know of a person with a disability in a leadership position. 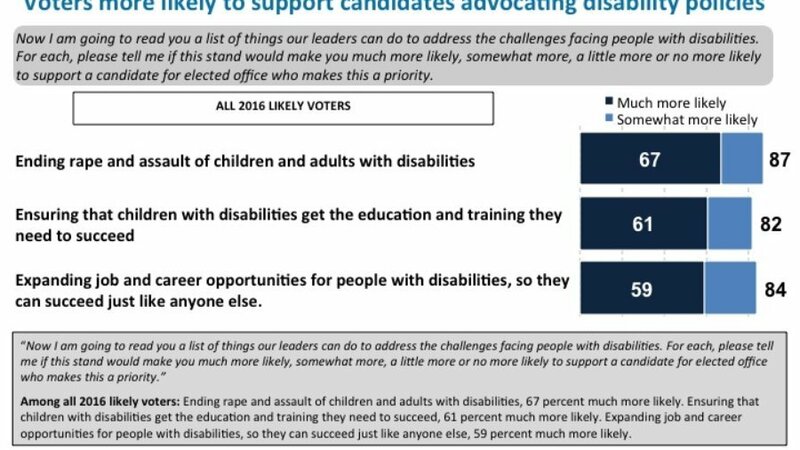 Only 6 percent of the California Jews with no disability connection who were polled know of a person with a disability in leadership. Nationally it is slightly higher at nearly 10 percent. Only 13 percent of California Jews in the disability community answer “yes” that they “feel that people with disabilities are encouraged to serve on the boards and committees of your faith-based institutions.” This is also five points lower than the national results of 18 percent. A recent poll of 1000 likely voters shows that fully 34 percent are grouped as swing voters, 36 percent as Democrat and 29 percent as Republican. 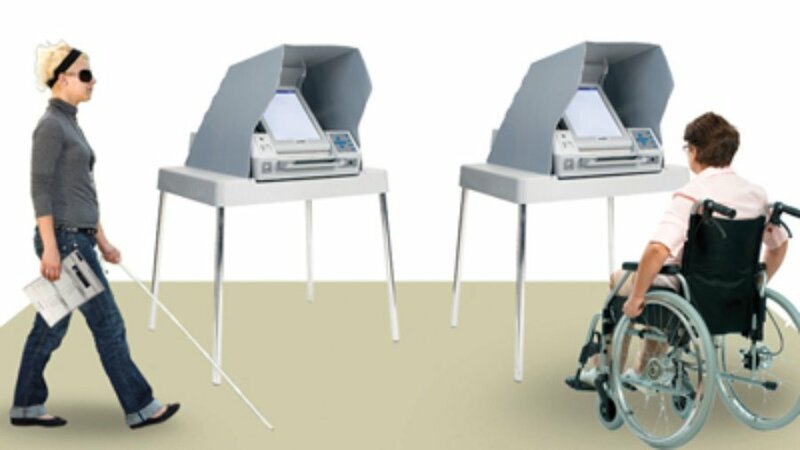 More than half of Americans with disabilities have reached out to their elected officials or attended a political rally in the recent past versus 39 percent of Americans without a disability or any disability connection. Nearly three-quarters of people with disabilities watch, read or listen to the news 5-7 times a week. 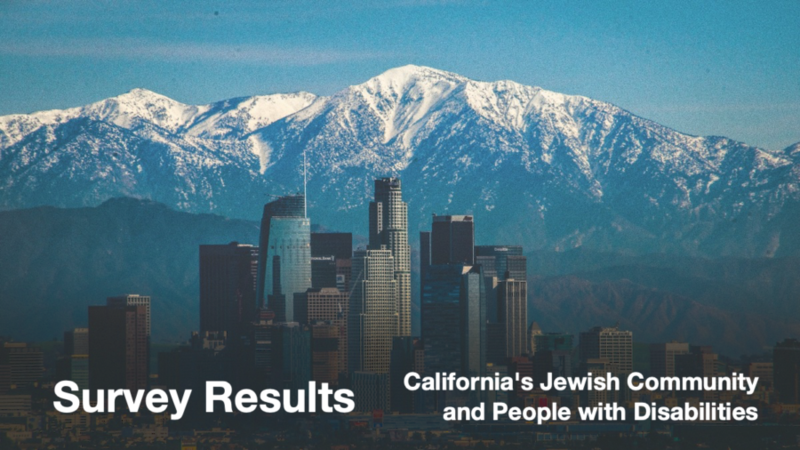 Los Angeles, Calif., Sept. 17 – More than 4000 respondents participated in the “RespectAbility 2018 Jewish Disability Inclusion Survey,” which focused on the inclusion of people with disabilities in faith communities in America. This includes more than 900 individuals who self-disclose that they are a person with a disability. 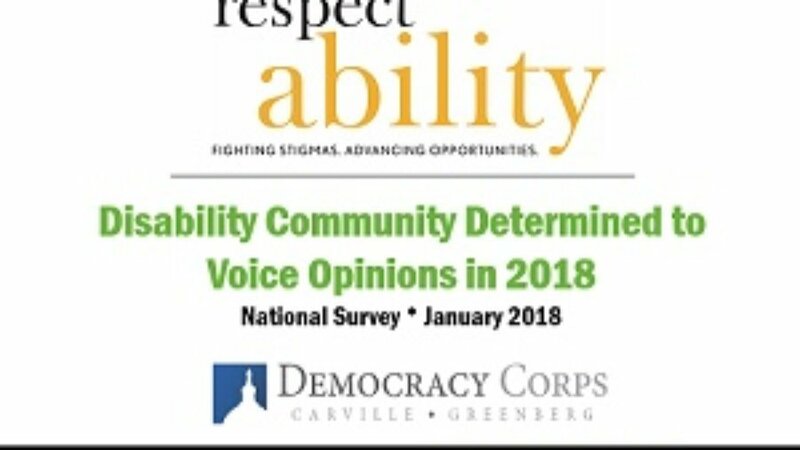 Washington, D.C., June 25, 2018 – RespectAbility, a nonprofit organization that fights stigma and advances opportunities for people with disabilities, is requesting Jews to give their opinions on a wide range of issues impacting people with disabilities. While the majority of people either have a disability or a loved one with a disability, people do not need to be personally connected to disability in order to have a valued opinion. The survey takes approximately 10 minutes to complete and you can win $250 for participating in it. To give your opinions and do the survey, visit: www.surveymonkey.com/r/RAFaithInclusion. 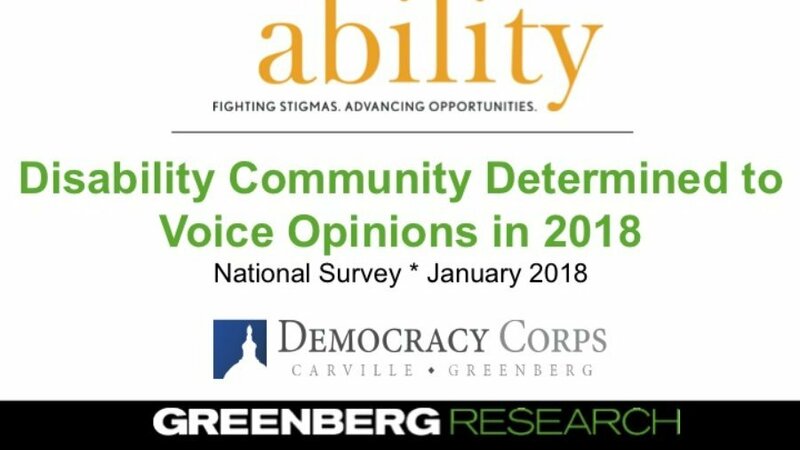 While individual answers will be kept confidential, the overall results of this survey will be released nationally as a sounding board for dozens of Jewish and nonprofit organizations who are working on disability issues. This is the first poll to cover a number of new issues from a disability perspective, including the views of the disability community on the NRA, pro-life groups, President Trump, healthcare, values and other issues. Washington, D.C., Oct. 17 – A new study, entitled the National Employment and Disability Survey Supervisor Perspectives and conducted by the University of New Hampshire, was released in the U.S. Capitol in honor of the National Disability Employment Awareness Month. The survey showed that very few companies have an intentional plan as a part of their diversity efforts to include people with disabilities. 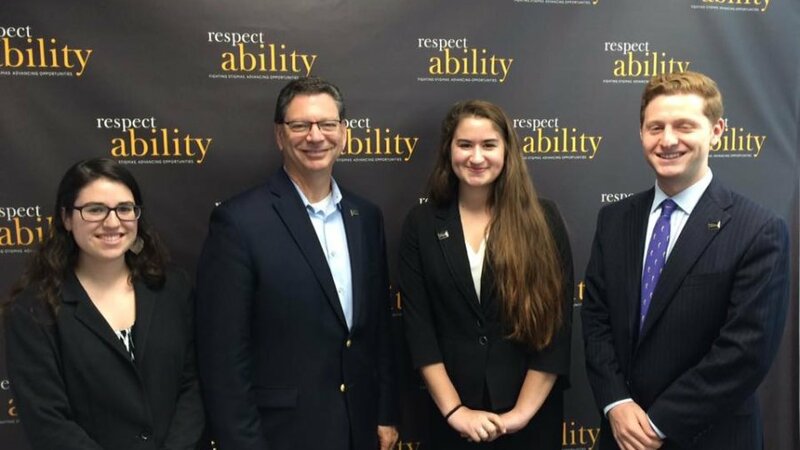 Indeed, while 28 percent of organizations have disability hiring goals, only 12 percent of companies include disability as part of their diversity efforts. In comparison, 45 percent have hiring goals for other types of diversity. Even though disability advocates are saying that disability is part of diversity in the workplace, that message is still not getting across to businesses.